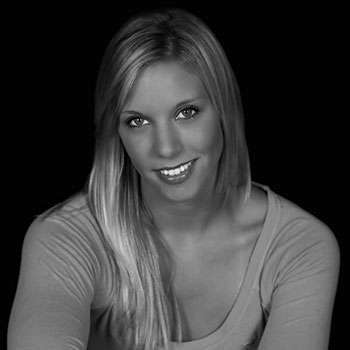 Ms. Mitro is an established industry professional, choreographer and dance teacher based out of Halifax, Nova Scotia, and is devoted to educating and mentoring young artists across Canada and abroad. She began her study of dance at the beautiful age of three and went on to successfully compete across Canada and the United States. Her pre-professional training originated in Ontario - focusing on modern, contemporary, ballet, jazz, tap, acrobatics, highland and hip-hop. Ms Mitro is a proud graduate of Ryerson University touting a BFA Degree (Theatre Performance Dance) and has also completed her RAD and BATD Highland examinations with impressive notability. Additionally, she is a graduate of the Pre-Professional Program, Decidedly Jazz Danceworks, and has performed for numerous dance companies on the West and East Coasts. Ms Mitro has had the privilege to work with multiple well-known North American choreographers, via both company and commercial dance industry projects. Sharing her accrued training, pro-experience and knowledge of the arts, and with a variety of acclaimed competitive dance organisations, is something she feels very passionate about - with the goal of educating and mentoring our new generation of dance aspirants. Ms Mitro is also the co-founder of the professional Halifax modern, contemporary, jazz company - Votive Dance - and her company thrives on performing across Canada in a variety of touring shows and festivals. During her professional dance career she performed in numerous original choreographic works, including Wish, Desire, Vow (Atlantic Fringe Festival); Short Stories (Atlantic Fringe Festival); In Pursuit, East Meets West, Shedding Suffixes, Proven Lands (Nextfest, Atlantic Dance Festival, Soulocentric); Natural Forces, Perspective (Connection Dance Works); and Homeplace (collaboration with Pier 21), to name a few. As a sought out choreographer, Ms Mitro’s work has been showcased by a plethora of dance companies, pre-professional/professional performance groups, art schools and dance festivals. She has also been the recipient of numerous awards for her choreographic and artistic visions. Through her dedication and perseverance, Ms Mitro has become a reliable role model to her students, and everyone she teaches within the dance community. She continues to encourage, support, and inspire emerging artists to their fullest technical and artistic potential and wishes every competitor the best in their artistic journey!